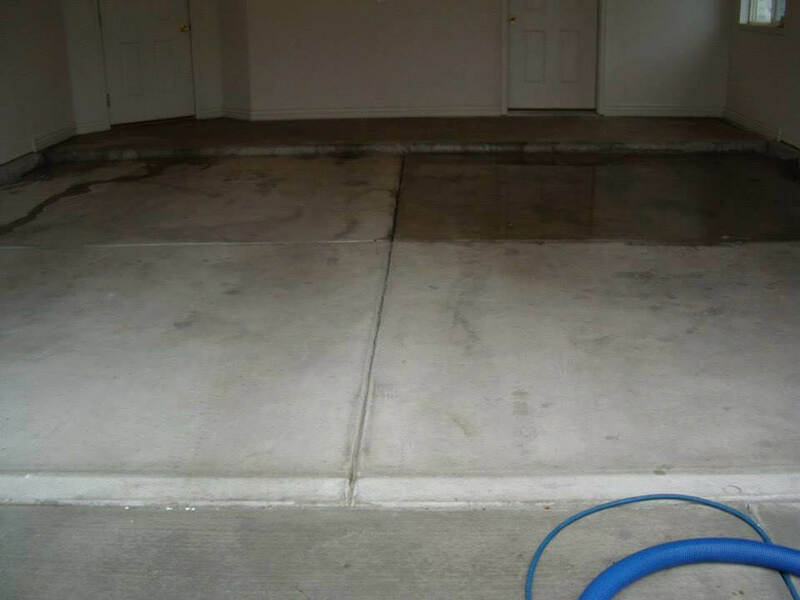 1) Your garage floor may have seen better days or it just maybe getting old. Now is the time to get it freshly restored to add value to your home. 2) If you live in an area that gets snow, your car or truck may pick up salt and or other chemicals they put down on the snowy roads that can reek havoc on the surface of your garage floor. 3) Spilled paint, oil drips or any other stains can easily be covered up by getting your garage floor re-done. Make sure to get that oil leak fixed before your park on the freshly renewed floor. 4) It just needs to be done and you don't have the time or the knowledge to get the job done, or you just don't want to do it yourself. Let us put our professional touch on it and restore it for you. 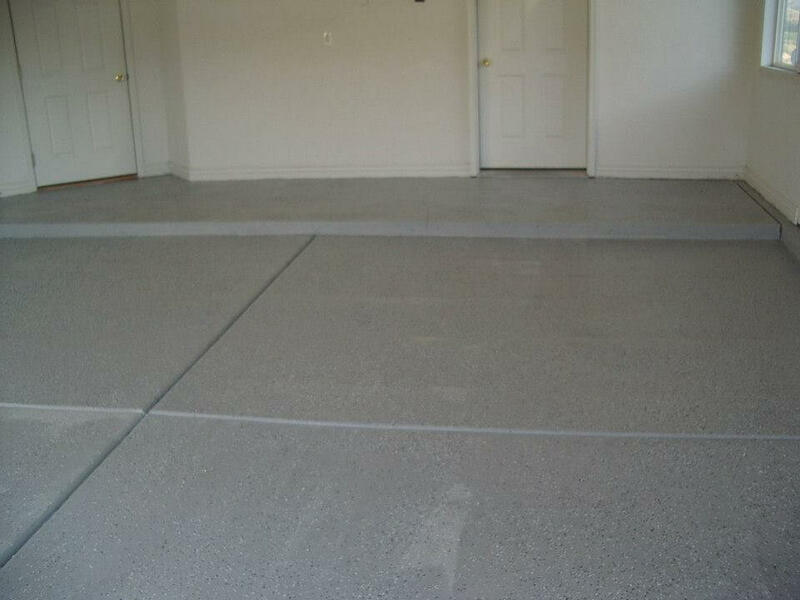 Concrete polishing is a relatively new & innovative eco-friendly flooring option. It uses a bare concrete slab, typically the building’s foundation, and transforms it to a decorative floor. The final product looks similar to a polished stone such as granite or slate. All products added to the concrete during the polishing process are intended to enhance the natural concrete, not cover or alter it. The final product has all the natural benefits of the original concrete slab, only it’s stronger and more resistant to staining. The concrete polishing process is similar to sanding wood, but on a much larger scale. 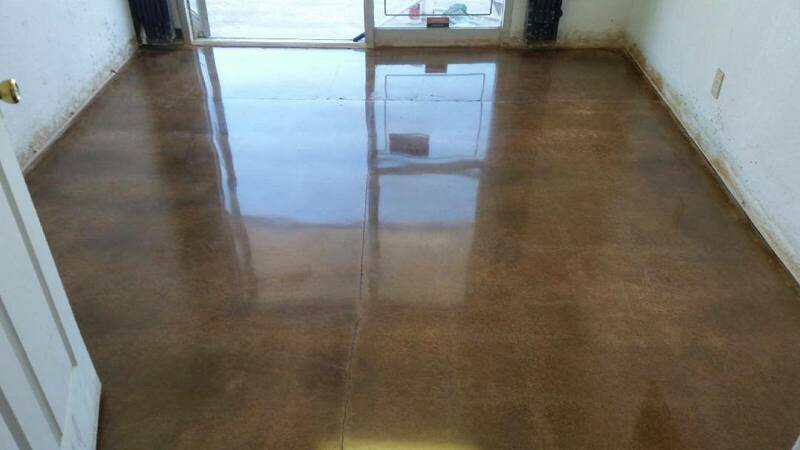 The initial grinding stages remove any dirt or coatings from the floor, and remove the surface paste to expose the stronger concrete that lies beneath. The next grinding stages of finer grits refine the rough floor to a flat, level surface to ensure a consistent polish. And finally the higher grit resin polishing diamonds are used to progressively bring the floor to a durable, high-gloss (or low-gloss if you prefer) finish. A densifier, which increases the strength and abrasion resistance, and a penetrating sealer, which acts as a stain shield, are applied to the floor at various stages throughout the process.